Imperator Aleksandr III was the third ship of the Imperatritsa Mariya class, a group of dreadnoughts built in the Black Sea and designed to fight the Ottoman Navy. The warship was initially named for Emperor Alexander III, who had succeeded to the throne of Russia upon the assassination of his brother in 1881. Although also the target of several assassination plots, Alexander III died of natural causes in 1894. A conservative, he helped roll back the reforms initiated by his father, and contributed in his own way to the revolutionary upheavals in Russia in the early 20th century. The design was similar to but a moderate improvement upon the previous Gangut class (built in the Baltic), carrying much heavier armor. The class would carry a dozen 12-inch guns in four triple turrets distributed along the centerline (not superfiring). Displacing 24,000 tons, the ships could make 22 knots. Because of an obdurate Ottoman government, the Black Sea Fleet was the only Russian fleet to still possess ships after the Russo-Japanese War. 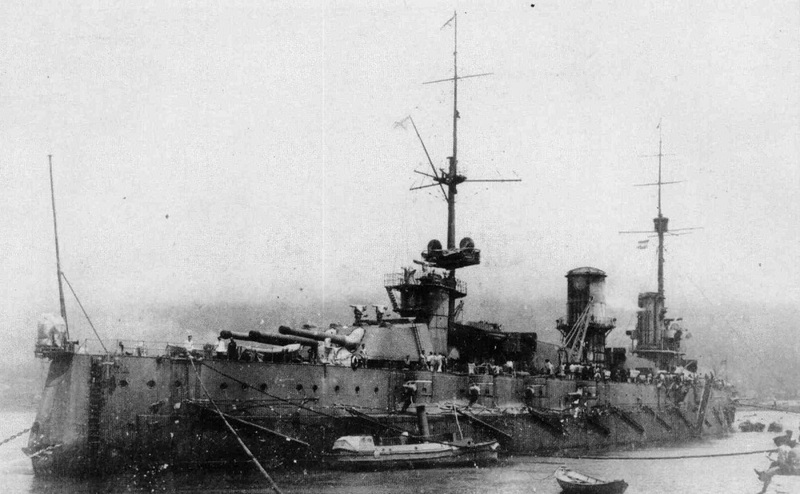 The Ottoman purchases of the dreadnoughts Sultan Osman I and Reşadiye (later HMS Agincourt and HMS Erin) would have given the Turks decisive superiority over the five surviving Russian pre-dreadnought battleships. Imperator Aleksandr III and her two sisters were expected to remedy this problem. When war came, the British seized the two Turkish battleships, although the German transfer of the battlecruiser Goeben gave the Turks a modern unit in the Black Sea. This meant that the situation did not differ dramatically from what the Russians had expected. Laid down in 1911, Imperator Aleksandr III suffered numerous production and design problems that delayed her completion. War shortages pushed back the commissioning date by over a year. Moreover, in order to match the Turks, Russian officials accelerated the construction of Aleksandr’s two sisters at Aleksandr’s expense. The completion of the two battleships briefly gave the Russian Navy superiority in the Black Sea, at least until the October 1916 accidental explosion of Imperatritsa Mariya evened the ledger. The February 1917 Revolution resulted in further chaos. Imperator Aleksandr III was taken over by the Provisional Government and renamed Volya (Freedom). Although still incomplete, she began to take her sea trials. Neither the Provisional Government nor the Bolsheviks were able to exert authority over southern Ukraine, however, and a few months later Volya was appropriated by one of the several independent Ukrainian governments that emerged in the wake of the Revolution. A few months after that, the inexorable advance of the Reichswehr gave Germany control of much of the Black Sea. The Treaty of Brest ceded control of Volya and her remaining sister to the Germans. The revolutionary crew of Svobodnaya Rossiya (Free Russia, as Imperatritsa Ekaterina had been renamed) arranged the scuttling of their ship, but Volya was seized by the Germans, renamed Wolga, and commissioned (still incomplete) into the German Navy on Oct. 15, 1918. Germany surrendered on Nov. 11, 1918, and ceded Wolga to British control. The British did not want the Bolsheviks to have access to Wolga, and so sailed her (under Royal Navy flag) to Izmir. In 1919, the United Kingdom, the United States, France and Japan all sought to strangle the Bolshevik Revolution in its crib, through a combination of direct action and support of White Russian forces. The British turned Wolga over to White Russians, who put the ship into working order and renamed her General Alekseev, after the Imperial and counterrevolutionary Russian general Mikhail Alekseev. General Alekseev conducted shore bombardments against Bolshevik forces along the Black Sea until mid 1920, when Red forces crushed White resistance in the Crimea. In November 1920, fleeing Bolshevik tyranny, General Alekseev led a ragtag fleet away from Crimea and out of the Black Sea. Dubbed Wrangel’s Fleet (after the final White commander in the region), it included Alekseev, a pre-dreadnought battleship, two cruisers, 10 destroyers, four submarines and a few smaller vessels. The fleet carried 4,500 civilian refugees in addition to the crews. General Alekseev made its way to Bizerte, in the French colony of Tunisia. Alekseev was interned there by the French until 1924, when France officially gave up on its policy of isolating the Soviet Union and recognized the Bolshevik government. The French and the Soviets couldn’t come to an agreement with respect to repatriation of the ship, in part because of her poor condition, and in part because of French demands for back payment of docking fees. It’s an open question whether Alekseev was in any worse shape than any of the old Russian warships in the Baltic, and it’s possible the Soviets could have used the vessel in the Black Sea. 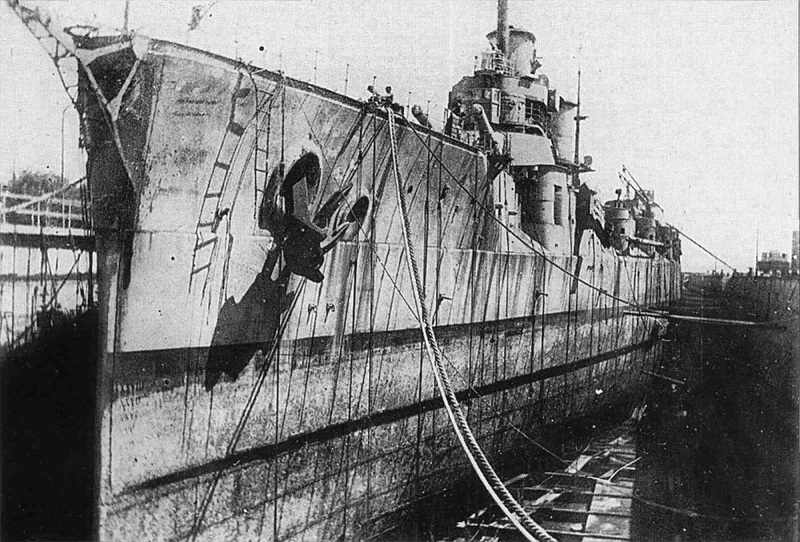 In any case, the French kept General Alekseev, and slowly scrapped her at Bizerte over the course of the next decade. Strangely enough, the saga doesn’t end there. France transferred Alekseev’s main battery to Finland in early 1940, to defend against the Soviet invasion. Eight of the guns made it through, while four were seized by the Germans in transit after the invasion of Norway. The Germans installed those four guns in coastal fortifications in occupied Guernsey. The Finns used six of the guns as coastal defense and railway artillery during the war, eventually surrendering two to the Soviet Union. The Soviets used these guns as coastal artillery into the 1990s. One turret and one gun remain on display at Finnish military museums. The basic four-turret, flush-deck design was a dead end, and produced some remarkably ugly battleships. Given that the Soviets failed to build any battleships in the interwar period, it can’t be argued that Alekseev and its cousins delayed or hindered Soviet battleship production. However, the process through which the Imperial Navy managed to produce hopelessly obsolete, outdated battleships is itself an indictment of the direction the empire was taking on the eve of the revolution.